How I missed this exciting development in Lee’s artistic journey is beyond me. Turns out he’s been releasing metal albums at Christmas for the last four years. I think my favourite fact that I’ve discovered while researching his impressive back catalogue is that he once recorded a symphonic metal project called ‘Charlemagne: By the Sword and the Cross’. This has tickled me enormously, as it has all the faux grandeur and pomposity of Spinal Tap’s epic folly ‘Stonehenge’, written by Nigel Tufnel after a bad dish of Indian food got him a seat “on the porcelain bus” and gave him strange dreams (thanks to Spinal Tap A-Z for that nugget). Enjoy Christopher Lee’s metal odyssey, in all its surreal glory. 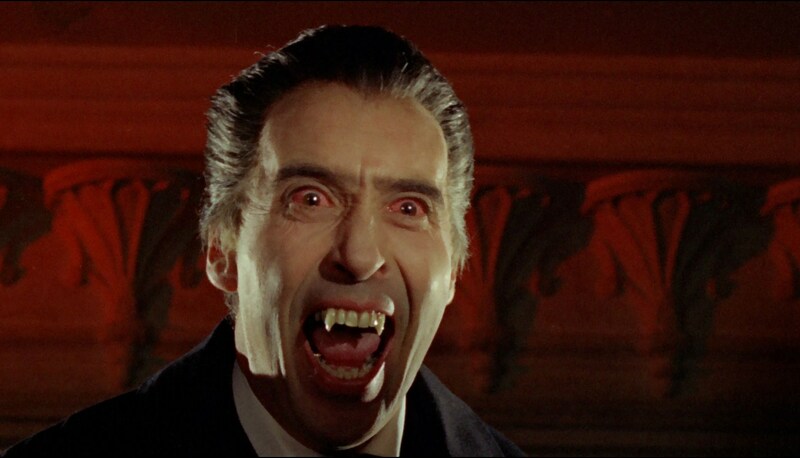 For me, he’ll always be the Ultimate Dracula, so it’s fitting that he’s adding a bit of bite to the festive season.